Today, I’m remembering Justin Aaberg. It would have been his seventeenth birthday, but relentless anti-LGBT bullying drove Justin to take his own life in July 2010. In your honor, Justin, in honor of all those who have suffered bullying — past and present — and in honor of all those whose precious lives were lost all too soon, we will build a world where it is no longer acceptable to bully LGBT people on the playground, in the schools, at the workplace, at the altar, in the bedroom, or at the ballot box. 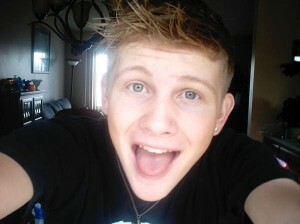 Justin Aaberg: March 9, 1995-July 9, 2010.